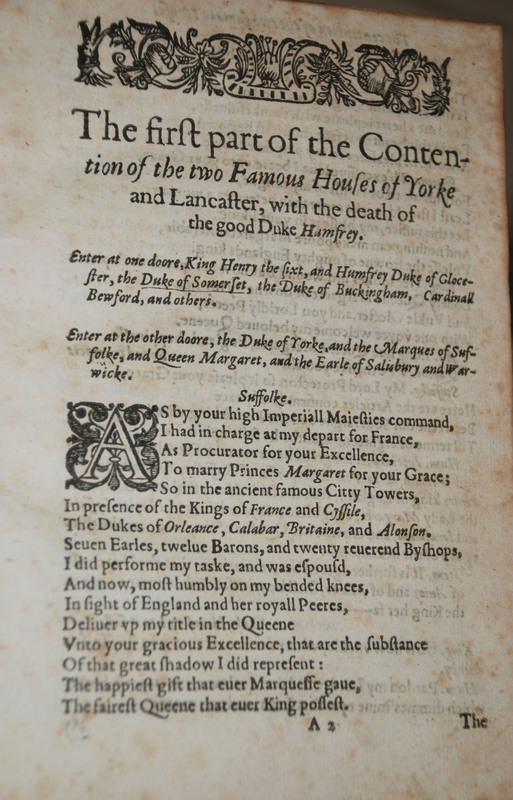 The Whole Contention Between the Two Famous Houses: Lancaster and York was Thomas Pavier’s name for a collection of two history plays bound by a common theme, 2 Henry VI and 3 Henry VI (the conclusion to that story, Richard III, does not make its way into Pavier’s collection). 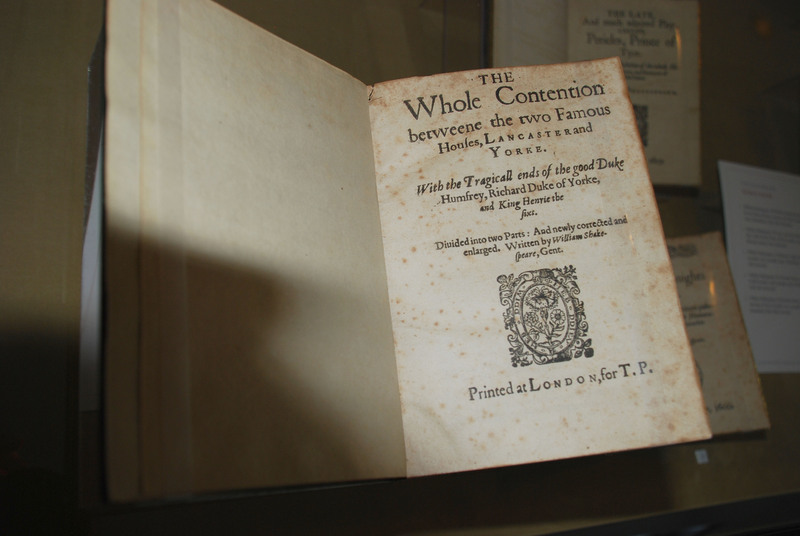 In an crucial way, this collection–two history plays folded into one–offers a miniature version of Thomas Pavier’s larger project, since it concretely documents the publisher’s efforts to bring Shakespeare’s many dramatic narratives into something like a definitive collection. 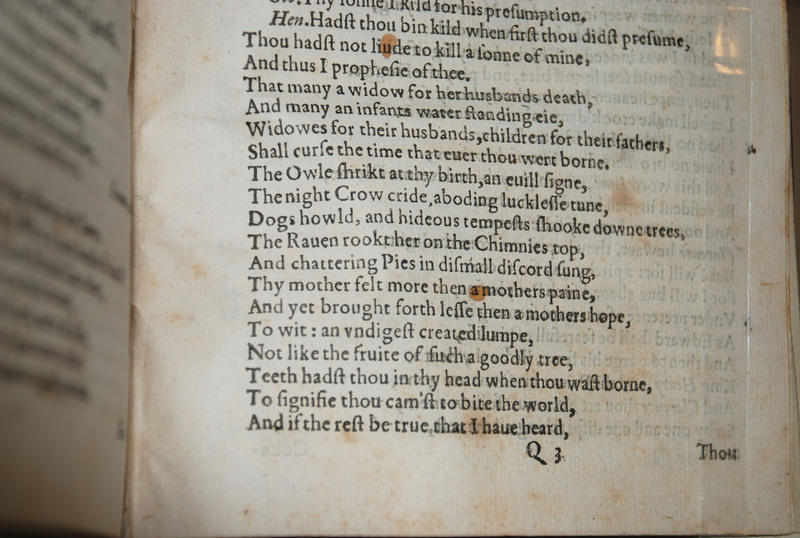 That effort is visible in the title’s central adjective, “Whole,” which promises its reader a fullness of narrative not offered in earlier editions of the story; and it is visible, too, in the signature of the play–the early modern equivalent of page numbers, rendered in letters and numbers–which begins as must early modern plays do, with “A1.” The Pavier Pericles, we saw earlier, was a provocative exception to this, revealing in its belated pagination–it begins with “R”–its original position within the larger collection of plays Pavier and Jaggard had first intended. We may never be sure of the exact shape Pavier’s project, never more than aspirational, would have taken–the placement of other plays in relation to each other is less certain than with these–but it seems fitting that our own efforts to re-collect his collection so many centuries later should find themselves as incomplete as his own.